Several colors, thousands of shades and million combinations. How can you choose the right one? Still confused? This article is the best guide for you. As we all noticed, there are bright colors, dull colors, dark colors, sober colors, vibrant colors…etc. Coloring a bedroom is not an easier task, since the bedroom is a place where you must feel relax and comfy. Bedrooms are always havens of special care and importance to the person and his/her partner. This article presents thousands of options and choices. Just pay much care and attention before painting your walls. For the majority of people, white means Cleanliness, purity and neutrality. Also white is a very popular color when it comes to painting shades. White shades are perfect solution for small rooms to look larger. However, you must balance white with some other colors such as red, blue, yellow, dark purple…etc. White also is suitable for new married couples. Purple is a feminine color, most girls prefer purple because it presents royalty and femininity. This shade is too popular for painting girls and kids bedrooms. For small rooms, it’s better to choose light purple so as to give it an illusion of space and vast appearance. Dark purple work well for large room, just choose white or gray furniture. And adorn the room with open color accessories. Color combinations: Purple-yellow, Purple-white, Purple- faint gray. Color combinations: Green-white, Green-sage green, Green- light yellow. Red is a symbol of passion, Love, roses, heat and celebration. This should be used with much care. Red is an energetic hue which can Red produces a bold look, so that you should combine it with white or light colored furnishing and balance out the bedroom. Pink is a special shade of red, and it is used in painting girls bedroom. 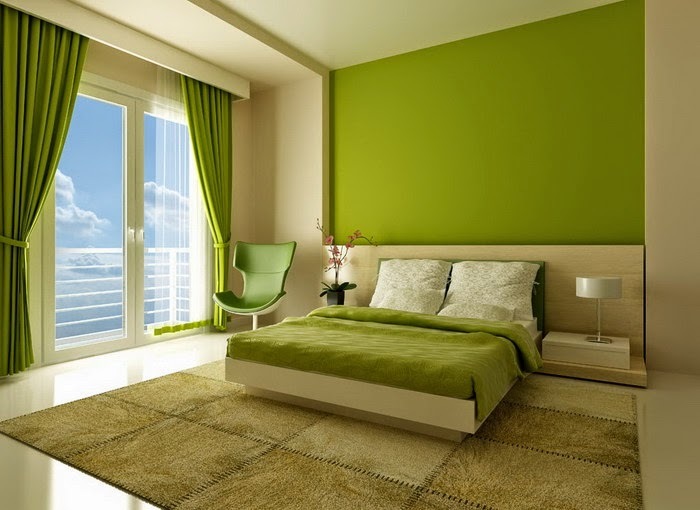 Try your best to opt white or blooming colored pieces of furniture so as to enhance the design of the bedroom. Blue is another symbol for Peace, calm, harmony, coolness, and joy. 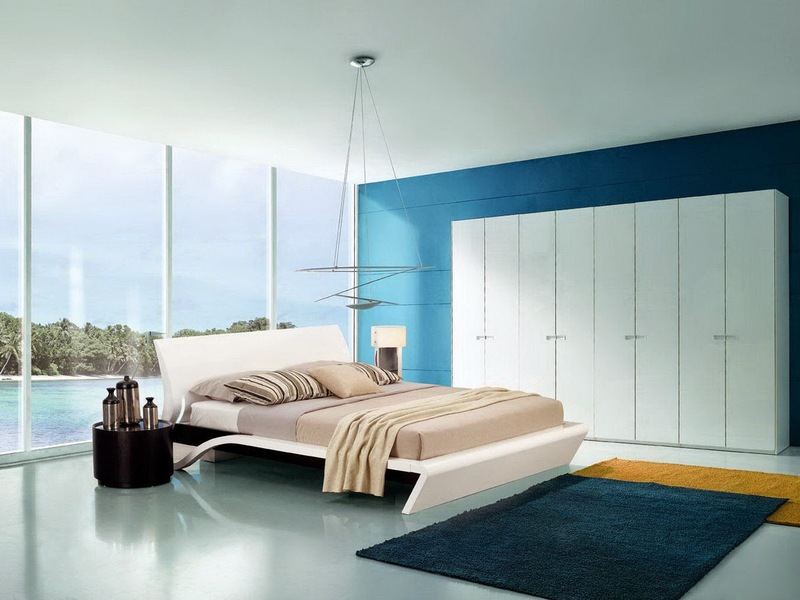 Most of you would prefer this color for bedrooms; because blue is the right among the cool bedroom colors. Blue is a cool and serene color which and can be easily combined with white, brown and gray. To balance out the room, opt for white or black metal furnishings. Bedroom painting and shades are important designing steps. You must pay much care because the bedroom is the most important area in your home, try your best to balance out the haven by choosing right colors with suitable accessories and furnishings hues.